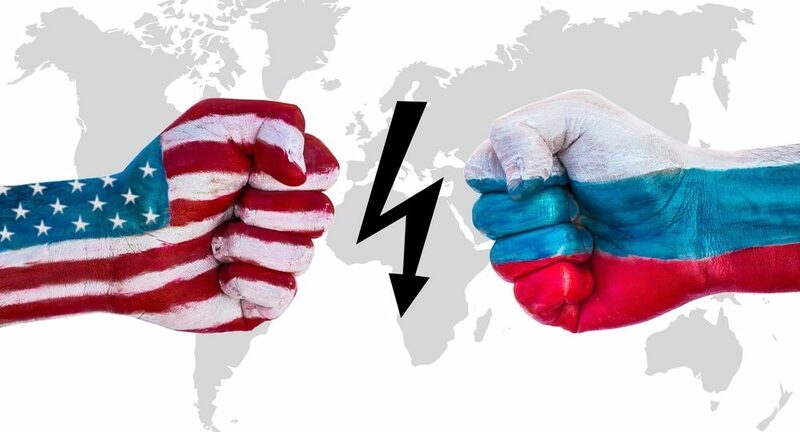 The standoff between Moscow and Washington will weaken in time, but not disappear completely. Former Russian scout-illegal Andrey Bezrukov (AB) who for a long time has worked in the US, told the “Izvestia” correspondent Nikolai Surkov (NS) why the United States need Ukraine and why Russia need to work with China to build greater Eurasia. NS: The Cold War ended more than 20 years ago. Why does the United States still treat Russia as an enemy? AB: The Cold War – it is only an episode in the relations between our countries. There are few levels considered to be the base of relations between the two countries. The first – is the level of objective geopolitical reality, the state of affairs of our countries and their role in the global system. The United States claim that their well-being depends on the viability of the global system, which they built. They are the vital part of the system and until it exists, they will be in a privileged position. Their main national interest – to upkeep this global system. In the Cold War the Soviet Union and USA were geopolitical rivals. USSR dominated in Eurasia, creating a “no go” zone for American influence. Soviet Union created a pole for those who were dissatisfied with the American system. Russia could potentially be a problem if it builds a competitive coalition, which will be an alternative system, both in terms of security and economy. The most serious blow to the US would be the creation of a large Euro-Asian alliance, such as Russia-Germany. This hypothetical partnership, by its resources (military and political power), would be bringing Europe and most of Asia out of American control, making de facto a huge competitor. NS: What then should be considered as the second level? AB: The second level – ideological. On our side there is no ideological barrier in relations with the United States. If the United States is not trying to impose on us their way of life, to create problems for our country, we have no problems with them. They, unfortunately, still have their problems. These problems are with the generation of Americans “not done with the Cold War.” The attitude of the ruling elite, the establishment towards Russia as an enemy or a competitor did not go away. There was not a re-evaluation because they did not have a reason for it. They consider themselves as winners. But because their task was not solved as planned and Russia did not become a state under their control, they have this irritation element from the job not done to the end. In addition, an independent foreign policy of Russia is a challenge to the people in the US who preach American exceptionalism. These are people who do not just think of themselves only as unique blessed Americans, they are willing to impose their position by force onto others. This group is very closely linked to the Cold War. But also, it is still very closely linked with the principles of the Democratic Party: America must bear ideals. For this, you can impose your understanding of things on other countries. I think that in a few years the geopolitical component will remain and the ideological might just withdraw. There will be rethinking about America no longer having the right and the possibility to impose its principles to others. With the lapse of time, those personalities who are now agents of the old ideology that emerged during the Cold War will disappear. There is also an ethnic component. The neoconservatives are surrounded by many people ethnically or ideologically linked to the anti-Russian Diasporas of those Eastern European countries which believe that Soviet Union dominated them. They, too, will leave anyway. NS: Why so hard to struggle with Russia? Isn’t China now a much more serious competitor? AB: Actually, from the point of view of the Americans, this is true – not Russia but China is the main challenge for the global system. China’s economy is so large that it attracts all of Asia, and the influence of the Americans on these countries and markets is reduced. The US is trying to factor out China, to fence off a piece of Asia by security agreements with the surrounding countries, and through the building of Trans-Pacific Partnership without China. NS: Are the periods of tension in relations between Russia and USA predetermined and inevitable? AB: Our interest – to ensure security around our borders, to have our neighbors not be specified, will they trade or not with Russia, will they fight with Russia or not. In this sense, the conflict at Ukraine is unbiased. If they need Ukraine as a buffer against us, then we also need it. We are ethnically very close; it was the pre-Soviet geopolitical space: Ukraine’s economy – part of Russia’s economy. It is our civilizational area. Our interest is obviously there. However, the United States are beginning to experience the rethinking of its role in the world. They did not come to a complete rethinking yet. They are just starting to see the problem and the inadequacy of its policy. Rethinking will happen in a few years. Then the ideological component in our relationship will be minimized. It could be related to the new president, but not necessarily happen during his reign. American policy develops in cycles. Now is the ending of the cycle that began with Reagan. NS: So in 7-8 years we can expect a change? AB: Then, we can get a completely different relationship between the two countries. But our and their interests will remain. Objectively, the Americans want to set Japan, India and us (Russia) against China. Therefore, it is very important for us to build a long-term non-competitive relationship with China and India. Our task – to secure for ourselves a quiet life in the big Eurasia. This is prevented by unresolved safety issues and lack of infrastructure, which would link the Russian economy with the growing economies of Asia. Interface of The Eurasian Economic Community (EAEC) and the “Silk Road” is building the economic infrastructure. China and Russia are interested in stabilizing the big Eurasia. Then there will be a rapid growth. NS: What is happening to the American political system? Why Republicans were unable to put up any decent candidate for president? AB: In the US, there is a “performer” problem. The business elite, on behalf of The American people, ordered the conducting of the political affairs to the political superstructure – the Congress, the parties, the so called ruling class – the “performer”. Business elite itself is not involved in politics, at least directly. The performer’s task is to defend the interests of the customer (The American people represented by the business elite). For a long time the ruling class did it. But now they broke away from understanding of the objectives. They act as they want. The customer sees now that politics has become less effective, it does not reach the set goals. Heading in this direction will lead the US into a freefall, into losing its influence in the world. Elite is dissatisfied. We may say that American politics is like an airplane flying on autopilot set 30 years ago. But the pilot had already begun to realize that it is time to return to the cockpit and change the course. Request to replace the “performer” comes from right and left. Trump is the voice of the business elite. Sanders is talking on behalf of the young intellectual elite. Changes in the political superstructure are brewing. The authorities will be upgraded by people who understand the situation in a new way and will offer a new political course. Andrey Bezrukov, born August 30, 1960 in the city of Kansk, Krasnoyarsk Territory. He graduated from the Tomsk State University in 1983 with a degree in history. He got his BA from York University, International Economics in 1995; got MIB International Business in 1997 from École des Ponts Business School. He graduated from the John F. Kennedy School of Government at Harvard University with a Masters of Public Administration degree in 2000. Intelligence Colonel Ret. Together with his wife Elena Vavilova (alias Tracey Lee Ann Foley) Andrey Bezrukov spent many years on illegal intelligence work. 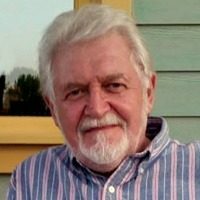 Under the name of Donald Howard Heathfield he was chief executive of Future Map, a Cambridge consulting company involved in government and corporate preparedness systems. He was arrested in June 2010 in the USA as a result of his betrayal. The Illegals Program, as it was called by the US Department of Justice, was a network of Russian sleeper agents under non-official cover whose investigation by the FBI culminated in the arrest of ten agents and a prisoner swap between Russia and the United States on July 9, 2010. Bezrukov won several Russian state awards – the Order “For Services to the Fatherland” IV degree, as well as other orders and medals. Currently he is an advisor to the president of Rosneft, a member of the club Valdai. LinkedIn profile. Reuters reported on July 7–8, 2010 that the U.S. and Russia reached a deal under which the ten individuals arrested in that country as part of the Illegals Program would be deported to Russia in exchange for individuals who were convicted of espionage by Russia. At least three of the jailed individuals in Russia were convicted of spying for either the United Kingdom or for the USA. White House Chief of Staff Rahm Emanuel reportedly said on July 8, 2010 that President Barack Obama approved the final exchange. An administration official was quoted as saying that Obama had not spoken to Russian President Dmitry Medvedev about the spy swap but was “fully briefed and engaged in the matter.” Broad agreement in the US was reported to exist that the agents were being deported swiftly as neither government wanted the case to damage attempts to reset their relationship. Under a U.S. – Russian agreement, the Russian government agreed to release the Russian prisoners and their family members for resettlement. The Russian prisoners had served a number of years in prison and some were in poor health. On July 9, the Russian ministry of Foreign Affairs confirmed the exchange of four convicted people for ten Russian citizens citing “humanitarian considerations and constructive partnership development.” Returning from Vienna were four Russian prisoners – nuclear specialist Igor Sutyagin, Alexander Zaporozhsky, Sergei Skripal, Gennady Vasilenko. The Obama Years are Finally Drawing to an EndThe Anti-Federalists of 1787 were Right!